The Friends of the Shepherdstown Riverfront has disbanded as of Spring 2015. Much has been accomplished at the Mecklenberg Warehouse to stabilize and restore the building. The Corporation of Shepherdstown can now take the next steps to continue the upgrades and to find a suitable use for the building. This website will no longer be updated or monitored. 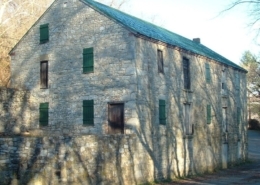 Historic materials concerning the Warehouse have been transferred to the Historic Shepherdstown Commission. Many people deserve credit for the work that has been accomplished at the Warehouse including: Jim and Ann Ludwig, Diana Suttenfield, Shep Scott, Richard Jentsch, Fran Cox, Davitt McAteer, Dale Walter, Bob Reynolds, Keith Alexander, Tom Conant, Mina Goodrich, Tyra Guyton, Meredith Wait, Linda Shea, Eddie Sampson, Alan Levitan, Amanda Whitmore, Steve Ayraud, Corporation of Shepherdstown staff and the many Shepherdstown area residents who donated money to the restoration of the building. The tank and piping removal work at the Warehouse is complete and a new floor has been installed. Photo below also shows prototype kayak racks in place. For additional photos see the Warehouse Renovation Gallery. 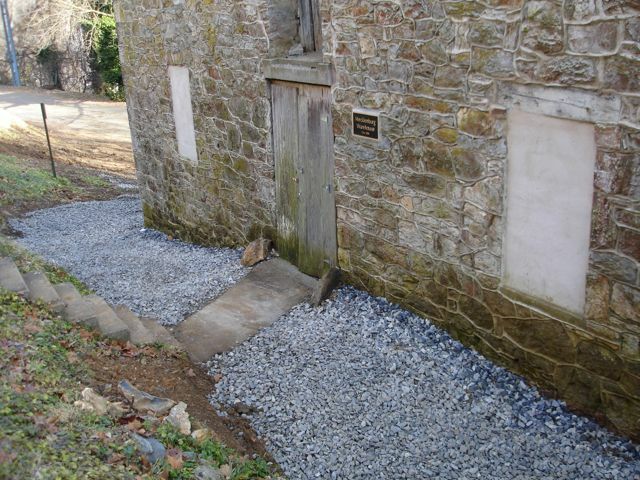 http://historicshepherdstown.com/wp-content/uploads/2015/12/hsc_logo_dummy.png 0 0 bts4hsm http://historicshepherdstown.com/wp-content/uploads/2015/12/hsc_logo_dummy.png bts4hsm2014-08-25 19:46:072018-11-16 20:24:55Tank/Piping Removal Work Complete! 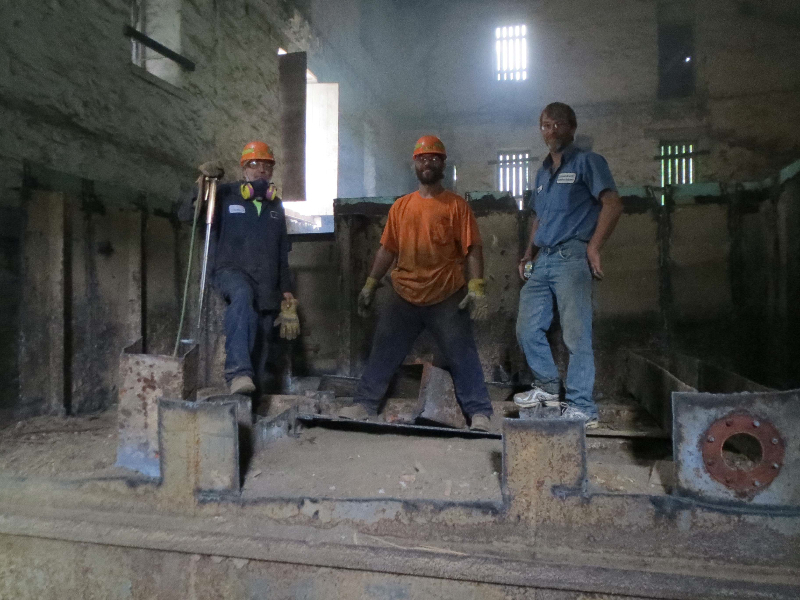 Work to prepare Shepherdstown’s historic Tobacco Warehouse for adoptive re-use continued in August, 2014 as Conservit, Inc. donated its labor to remove steel tanks, pumps, and valves from the warehouse. This was an important step in efforts to make the warehouse available as a paddle boat storage facility in 2014. The photo shows Billy Grove from the Corporation of Shepherdstown with Conservit employees working on the project on August 6, 2014. For more photos see the Warehouse Renovation Gallery. FOSR member Tyra Guyton has completed the report of the waterworks operations at the warehouse from the 1920’s thru the 1970’s. The report includes photos of the equipment and excerpts from interviews with former employees at the facility. New video of the warehouse posted. Circa 2007 courtesy of Clai Lashley. On Friday, March 22, at 7:00 PM in the conference room at the Byrd Center for Legislative Studies, we will have a board meeting to discuss next steps for the warehouse and for the organization. Most critically, we need to discuss strategies for recruiting a board president and new board members. Any potential new members are encouraged to attend. Keith Alexander will be making a presentation about FOSR’s activities and plans to the Shepherdstown Town Council Tuesday March 12, 2013 at 6:30 pm. Please attend this meeting to provide support. The meeting will be held at the Shepherdstown Town Hall. 2012 was another busy year of improvement projects at the Warehouse. 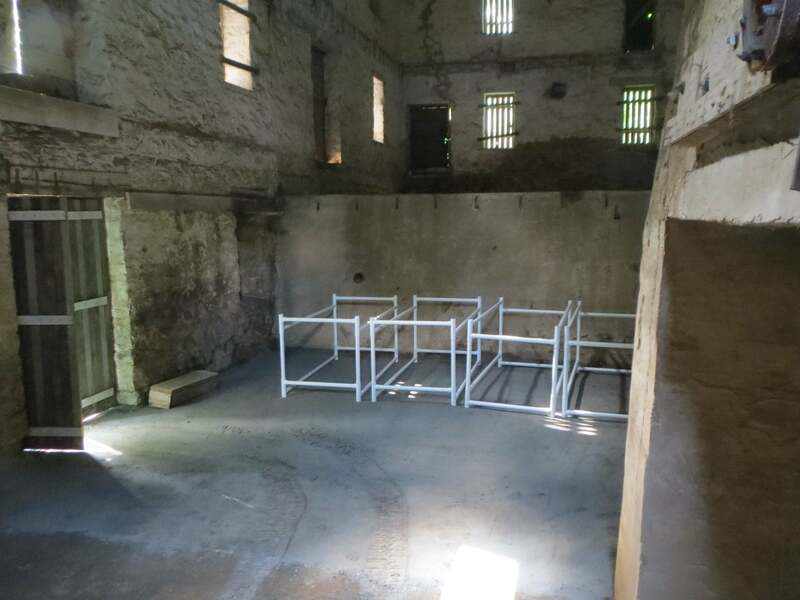 In conjunction with the 10 year anniversary of the start of preservation efforts at the building, FOSR has published a list of Completed Preservation Projects. The list can be found here. Foundation drainage work is complete at the Warehouse. To improve foundation drainage, work has proceeded to: 1) Excavate along the north and west sides of the building. 2) Repoint deteriorated mortar in the stone foundation. 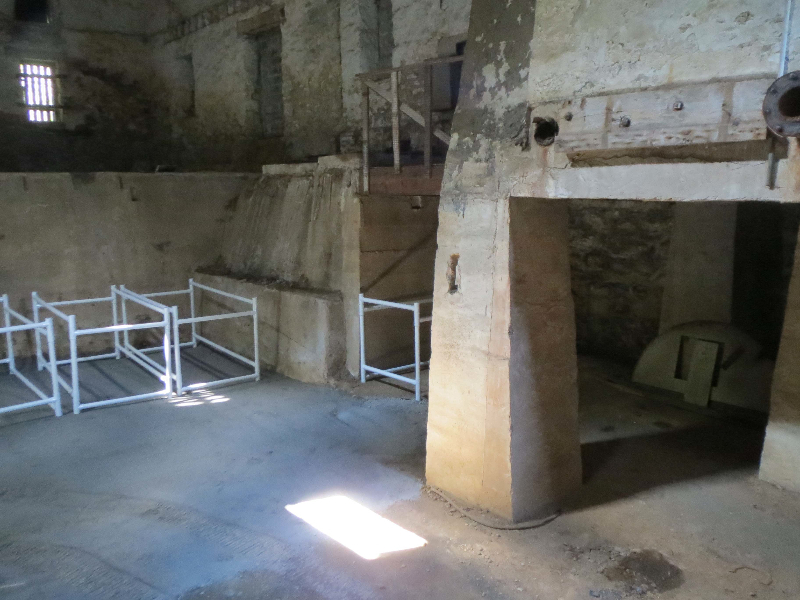 3) Fill openings in the foundation created by previous waterworks operations. 4) Install french drain pipes. 5) Backfill with drain rock. FOSR members Bob Reynolds and Steve Ayraud installed much of the drain pipe. The Shepherdstown Water Department removed abandoned pipes and debris. For additional photos of the work see the Warehouse Renovation Gallery. 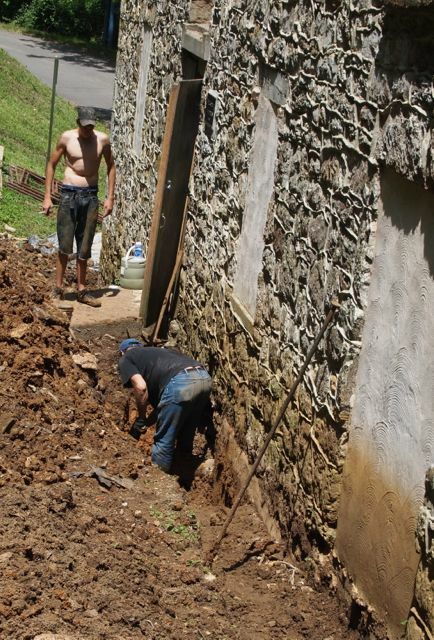 In June 2012 work is underway to excavate the exterior foundation in order to repoint the mortar and to install french drains. May 2012: Len Shaw Masonry Co. completed repairs of deteriorated mortar and missing/broken bricks. Bricks also received a reapplication of whitewash for moisture protection. See Gallery for Photos of Before and After. Spring 2012: Boy Scouts remove bamboo along Town Run. March 2012: Waterworks floor and misc. scrap metal removed from interior. New door installed in existing opening at the parking area. Access to the floor of the building is now possible! 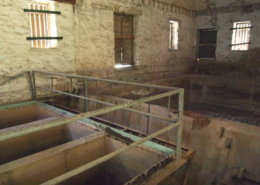 Clear view of this historic waterworks pump is now possible. Many thanks to outgoing President Dale Walter for her years of service to FOSR. 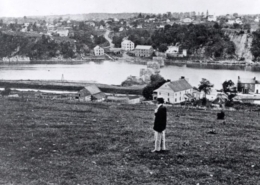 Shepherdstown is one of the oldest and most historic towns in West Virginia. It has a rich architectural legacy and the Mecklenburg Tobacco Warehouse is one of its most important historic buildings. This historic structures report will be a primary planning document for decision-making about the preservation, rehabilitation and reuse of this unique building. It will provide a summary of information about its history and existing conditions as well as recommendations for its repair and future use. The Corporation of Shepherdstown, professionals, local and state preservationists will have a readily accessible document for working on the building. An historic structures report is written especially for those not familiar with the building. Recently, the National Park Service through the Rivers, Trails and Conservation Assistance Program (RTCA) began work with the Town of Shepherdstown and the Shepherdstown Rotary Club on a Riverfront Revitalization Project. 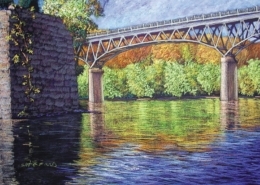 This community and partner led effort will focus on preserving and protecting Shepherdstown’s significant historic and natural community resources along the riverfront including the Mecklenburg TobaccoWarehouse, Rumsey Monument Park and Cullison Park while also working to provide improved access and infrastructure improvements. With input from community members, partner groups and Shepherd University three areas of focus will be looked at – the development of an overall plan for the riverfront, finding partners who can assist in this effort and locating sources of funding for the improvements that are needed to carry out the plan. The RTCA Program supports community-led natural resource conservation and outdoor recreation projects and helps implement the natural resource conservation and outdoor recreation mission of the National Park Service in communities across America. For more information contact …….Chris Niewold NPS RTCA at 202-690-5153.